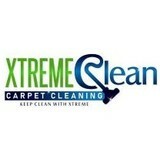 Xtreme Clean 95 is a carpet cleaner / carpet cleaning service serving the Cincinnati, OH area since 2005. Services include Carpet Cleaning, Odor Removal, Carpet Stain Removal, Upholstery Cleaning, Tile & Grout Cleaning, Commercial Carpet Cleaning, Floor Cleaning, Mattress Cleaning, Sofa Cleaning, Steam Cleaning, Wood Floor Cleaning, Hot Water Extraction, Area Rug Cleaning, Oriental Rug Cleaning and Carpet Cleaning Prices. Marty B’s General Klean provides professional commercial and office carpet and floor cleaning services, and Janitor service in Cincinnati. If you are looking for a Cincinnati commercial cleaning business to provide devoted, punctual VCT floor stripping and waxing, restroom cleaning, window cleaning or all of the above, give Marty B’s General Klean a Call at 513–709–9850. 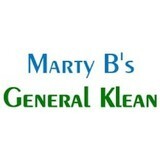 Marty B’s General Klean will leave your Cincinnati commercial carpet clean, fresh, and vibrant. Microbes that come from windows or fall from shoes snug within carpet’s fiber causing allergy flare-ups and irritations when kids are getting close to them. You can not get rid of such harmful allergens even how much you take care of it. Deep cleaning by our carpet cleaning Cincinnati professionals is the only way to make your carpets free from allergens, dust, and mites. Dry Advantage Organic Carpet Cleaning prides itself on being the go-to choice for clients looking for Carpet Cleaning, Organic Carpet Cleaning and Dry Carpet Cleaning services. 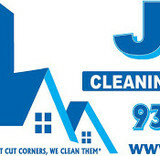 We are JNP Cleaning Solutions one of the highest customer rated cleaning company in the area. Our only is to give a 5 star cleaning experience. Our local Cincinnati Carpet Cleaning, Hardwood Floor Restoration, Marble, Tile and Grout Restoration services are exactly what your home needs. We do it right! We have the professional equipment, the cleaning supplies, and the expertise to make your home be a good reflection - on you! Mark Matson Reviews is where you can find real client feedback on Matson Money, Inc. Mark Matson is an investment advisor managing approximately $9 billion dollars for investors across the U.S.. On the website Mark Matson Reviews, read the stories of many satisfied clients and more about Mark’s innovative strategies for wealth management. Matson Money is a Registered Investment Advisor firm that offers a family of mutual funds that take advantage of the management skills of independently managed mutual funds. Check out Mark Matson Reviews for more detail on this unique approach to investing that is based on Nobel-Prize winning financial and economic principles. Mark Matson reviews every investment so clients feel confident about their investment approach. What should I look for in a local Union carpet cleaner? Not all Union carpet cleaning companies use the same methods, but there are a few common things that they should do to for a quality job. Make sure they do an analysis on the area you need cleaned and recommend the best course of action — are there large stains or high-traffic areas that need extra treatment or attention? Also, make sure they provide quick drying times so that you can be back in your home faster; that means hours, not days! A good carpet cleaning service in Union, OH should move furniture (within reason) and put it back in place when they are all done; don't let them charge extra to do this. Another important factor to look out for is whether or not the carpet cleaners use chemicals, and if so, they should be asthma- and allergy-friendly. This is especially important for households that have children or pets. 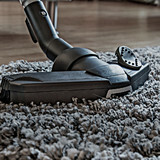 Lots of Union carpet cleaning services also clean rugs. Rug cleaning can involve anything from a simple wash to complete re-weaving or foundation work. Make sure the local rug cleaner you choose has experience with the types of rugs you need serviced, especially if they are hand-woven or Oriental rugs. What should I look for in a local Union upholstery cleaner? Upholstery comes in many more varieties than carpet and rugs, thus needs cleaning tailored to each specific blend. Even if you don’t know what material your sofa or chair is made with, a good upholstery cleaning service in Union, OH will be able to identify it and treat it appropriately. Some textiles require dry cleaning and that can’t be done in home, so if that’s the case, check with the upholstery cleaner and see if they offer pickup and drop off services. Leather cleaning is a bit different and often involves more restoration and conditioning than actual cleaning. Make sure the Union furniture cleaning service specializes in leather if you are considering them for the job. 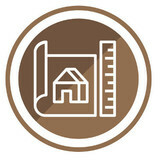 Find Union upholstery and carpet cleaning services on Houzz. Narrow your search in the Professionals section of the website to local carpet cleaners in Union, OH and read reviews and ratings to find one that fits your needs.